Only five cases of rabies were confirmed on Cape Cod in 2007—down from 75 the previous year—thanks in no small part to an ongoing rabies baiting effort that celebrates its 15th year with this week’s rabies bait distribution. 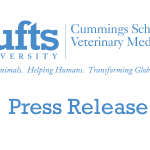 Faculty from the Cummings School of Veterinary Medicine at Tufts University will lead more than 100 volunteers, along with state, local, and federal public health officials, in the semiannual effort to distribute more than 50,000 rabies bait packets to vaccinate wildlife against the disease. The Cape Cod Oral Rabies Project, which began in 1994 and is coordinated by Drs. Janet Martin and Alison Robbins, will distribute the baits in 10 towns from Yarmouth to Provincetown beginning today. The massive effort is supported by the USDA, which pays for half of the bait packets and collects dead wildlife for rabies surveillance. Keep dogs on leashes and away from roadsides during the vaccination week. Ingesting the baits can cause mild stomach upset or loose stool in dogs. However, do not remove the bait from dogs’ mouths if they bite into one. The risk of a dog bite far outweighs the potential harm to the dog. If you find a bait packet, throw it into the woods where people and pets are less likely to find it. Wash your hands after handling the bait. Stay away from wildlife, including bats. Notify your local animal control officer if you encounter any wildlife, especially ones exhibiting strange behavior. Volunteers—including large contingents from AmeriCorps and the Senior Environmental Corps—will pair up in vehicles and throw baits from vehicles during the baiting period. The United States Department of Agriculture (USDA)-Wildlife Services and Coast Guard will simultaneously distribute the small bait-coated sachets over the adjacent National Seashore areas and open areas via helicopter. The volunteers for this project are our citizen scientists who help us put the baits out of reach of pets and into the places where they’re most likely to be found by raccoons, said Alison Robbins, MS, DVM, a research assistant professor at Tufts and co-director of the program. Without these dedicated people, our project would be nearly impossible to do because of the massive scale we work on and the amount of labor it takes. 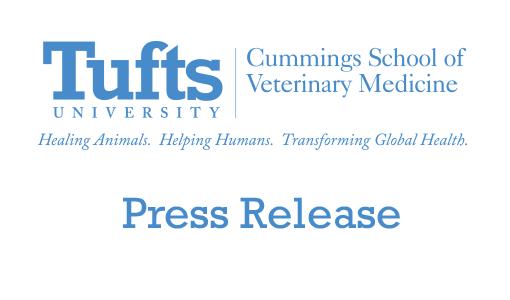 Massachusetts began contracting with Tufts in 1994 to develop and administer the Massachusetts Oral Rabies Vaccine Program to control raccoon rabies. Praised for its long-running, multi-agency approach involving both public and private sources, the vaccine and bait distribution had kept the Bay State’s popular tourist area rabies-free for more than a decade. When health officials discovered a rabid raccoon in Bourne in March 2004, the Tufts group with their collaborator USDA-Wildlife Servic began baiting semiannually on Cape Cod and more closely monitoring rabies incidence there. Follow-up research studies by Tufts on vaccine effectiveness have been supported by Merial Ltd, which manufactures the vaccine. The drop-off in rabies cases from 75 to 5 in one year—especially considering that no pets were infected during that time—demonstrates the need for the program to continue, Dr. Robbins said.